All classes require teachers to differentiate their instruction. 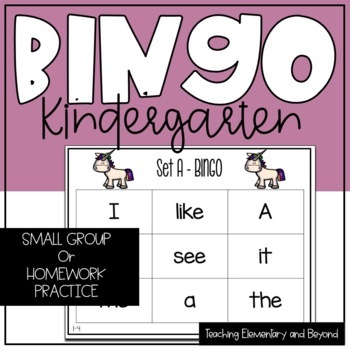 Reinforcing literacy skills through Bingo is an engaging way to help students learn. 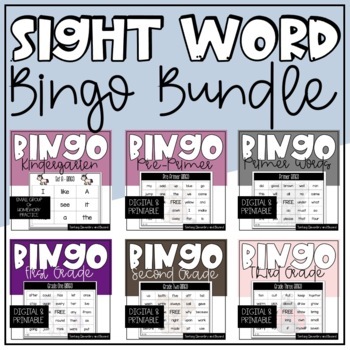 This Bingo Bundle will allow you to include a wide variety of student engagement in sight word recognition while participating in the same activity for students who read at a Kindergarten level all the way to grade three during whole group or small group instruction. Divide the class up as needed to have children lead their own game while you support your students who need the extra support! 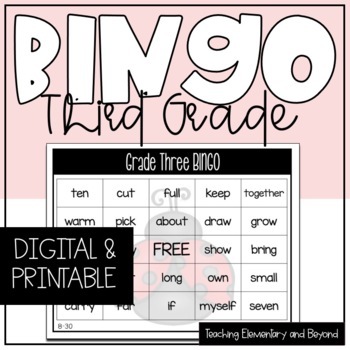 These products include a class set for 30 students. 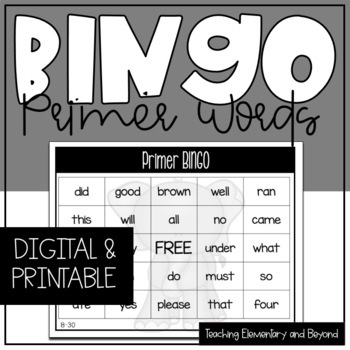 All word lists are based on the dolce sight words lists. All pages are unique. No duplicates for potential winners. Each product includes a word list to stroke out or cards to flip. Print on card stock for durability. Click on the links above to directly see the products Included. Want to see more? Take some time to explore!